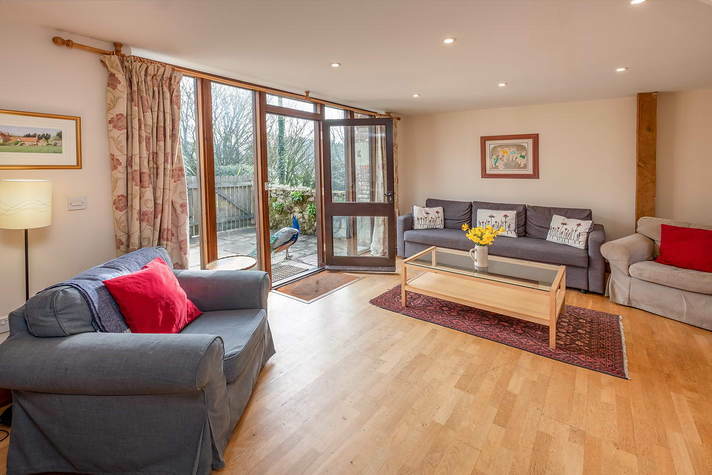 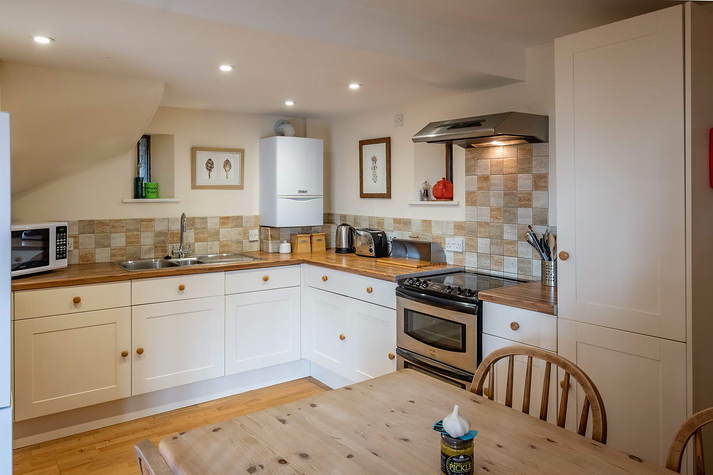 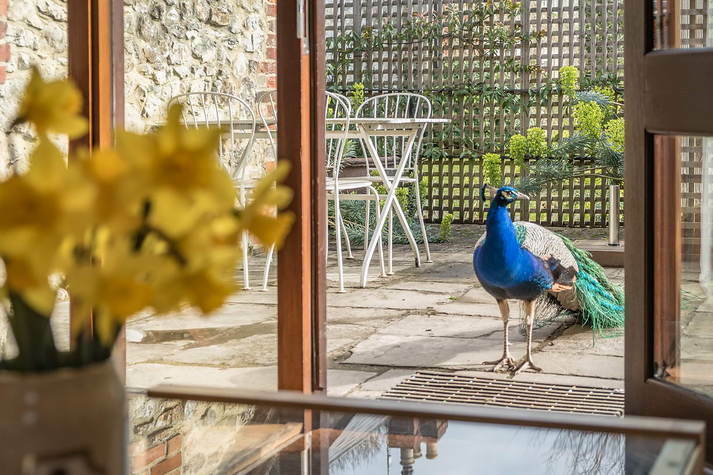 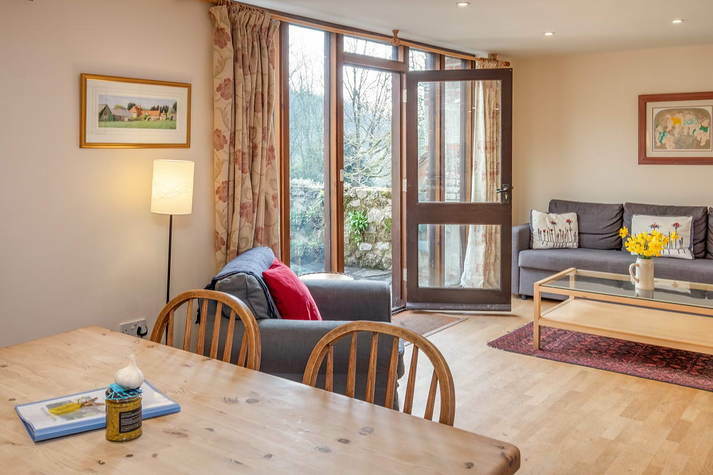 Very large open-plan kitchen, dining room and living room with well equipped kitchen and tasteful mixture of modern and traditional furnishings. 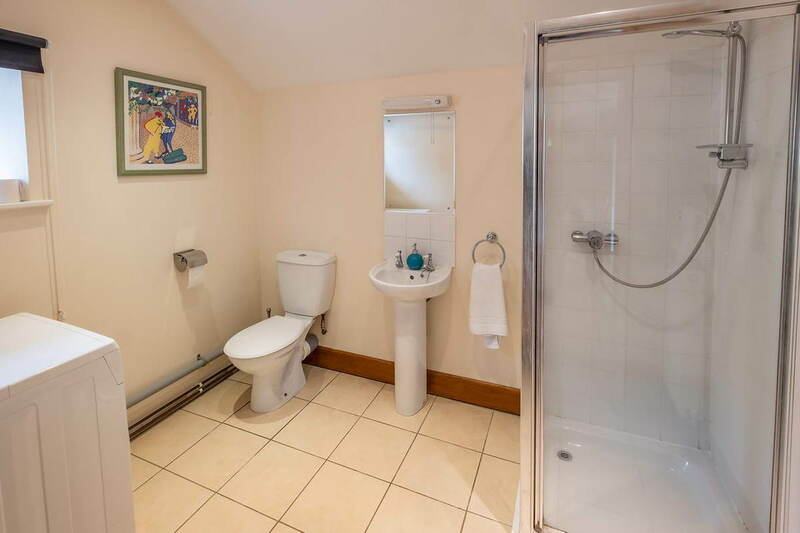 Bathroom/utility room with shower and toilet. 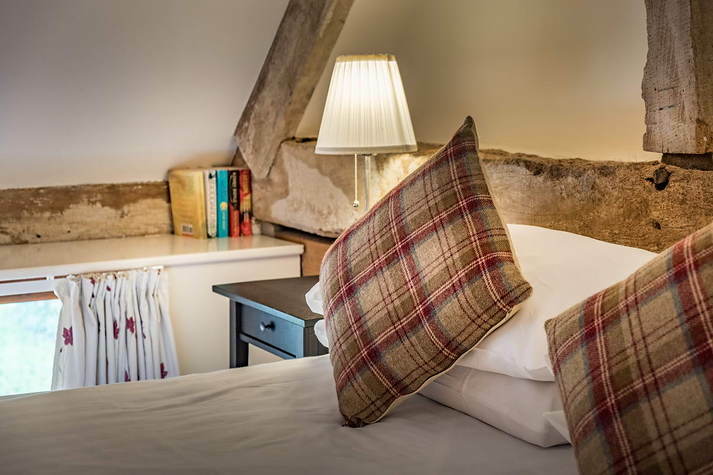 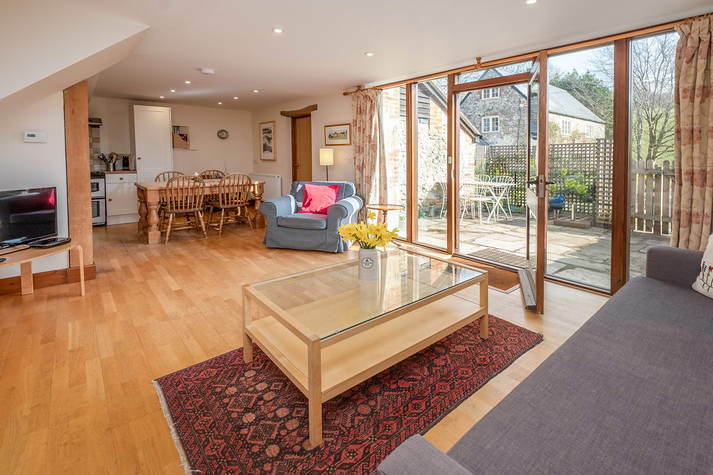 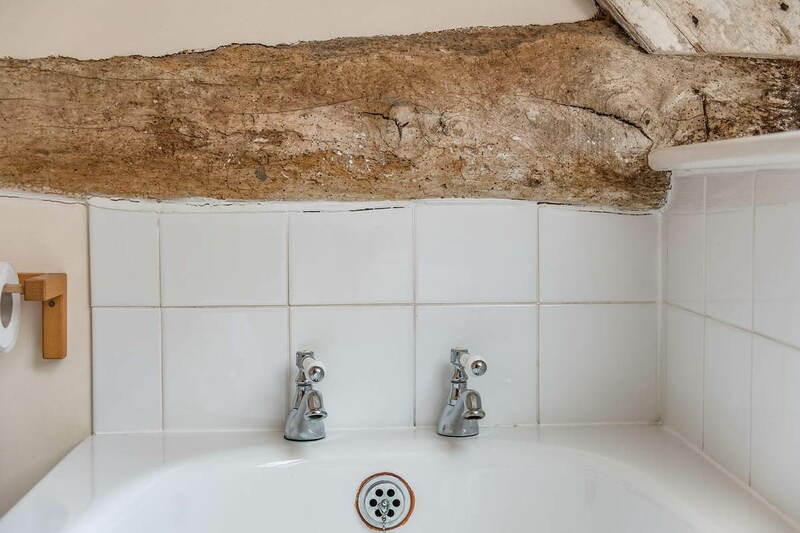 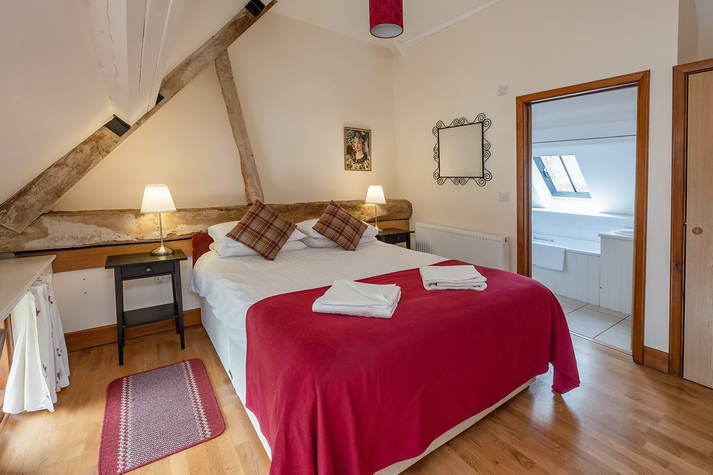 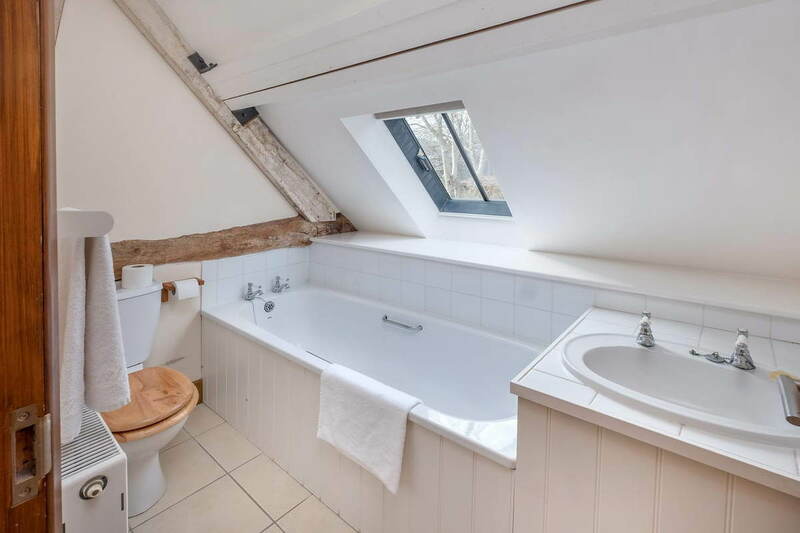 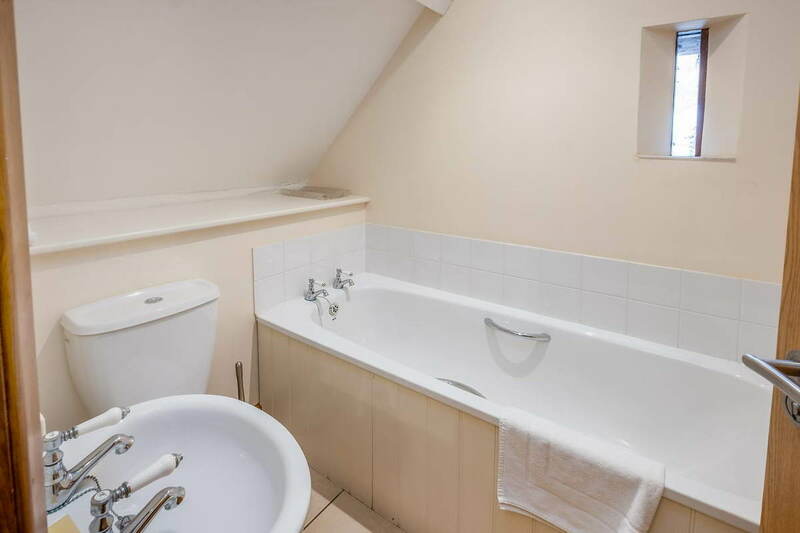 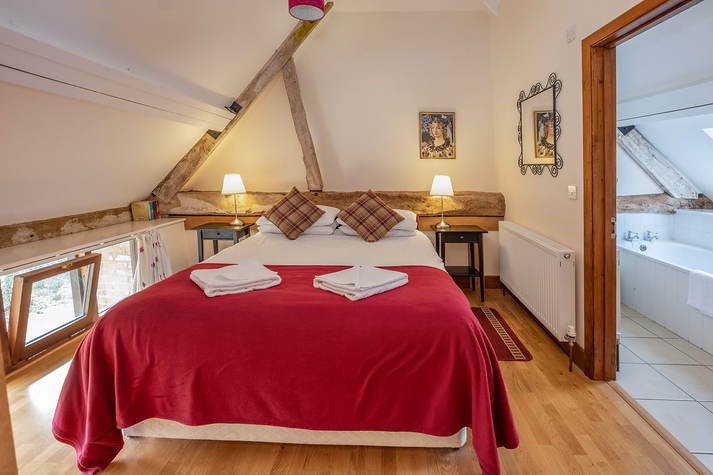 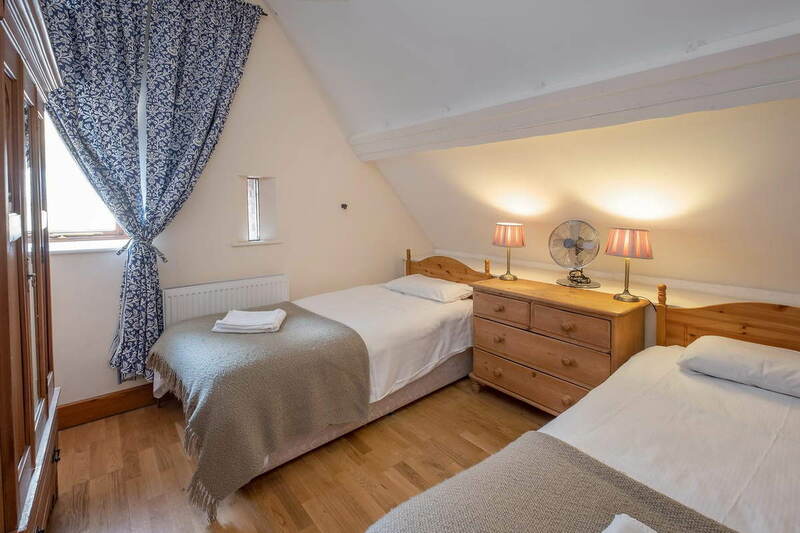 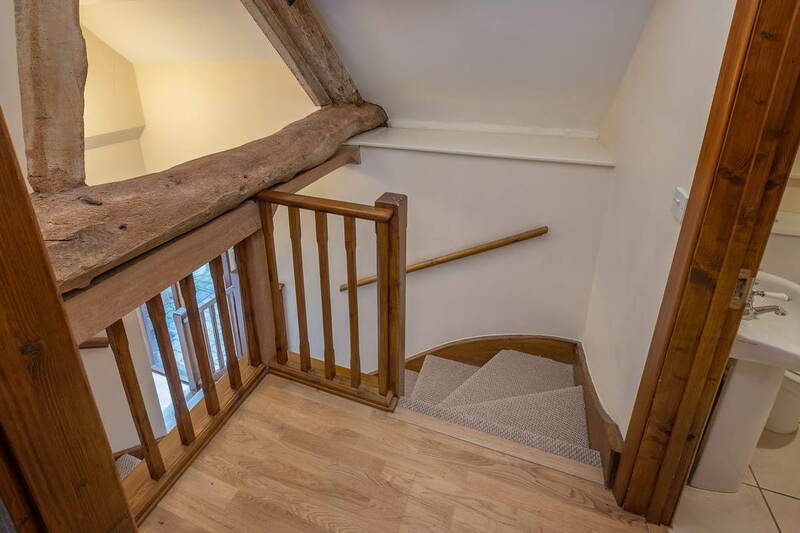 Double bedroom with exposed beams and en-suite bathroom with bath tub. Twin room and separate bathroom with bath tub. 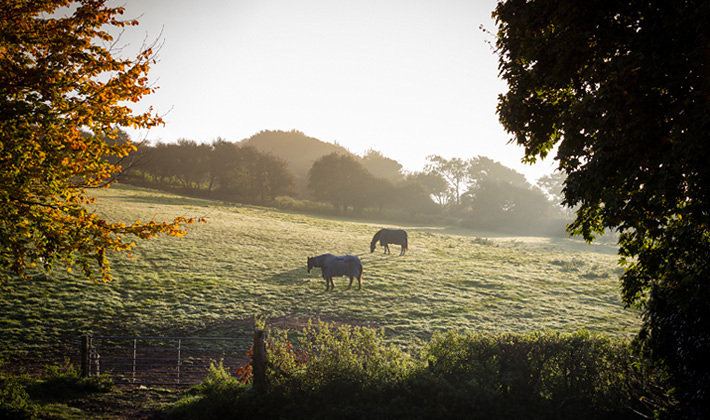 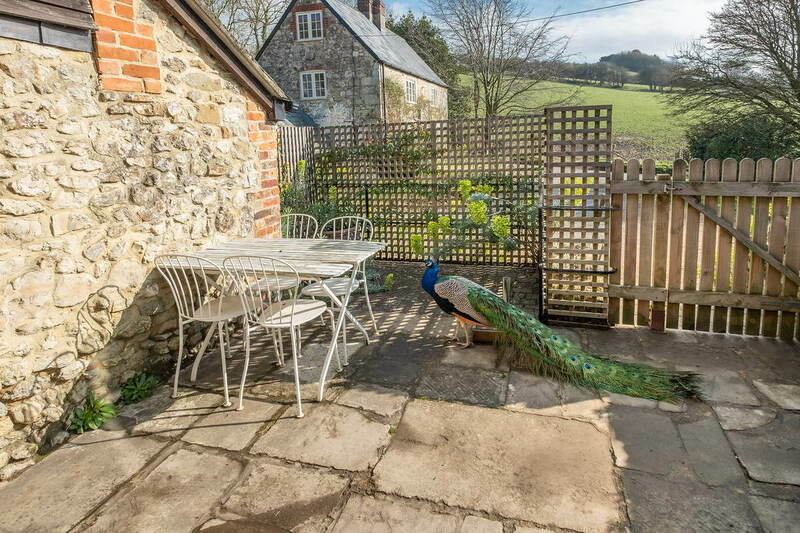 Breakfast and evening patios on either side of the cottage enable guests to take full advantage of the glorious situation. 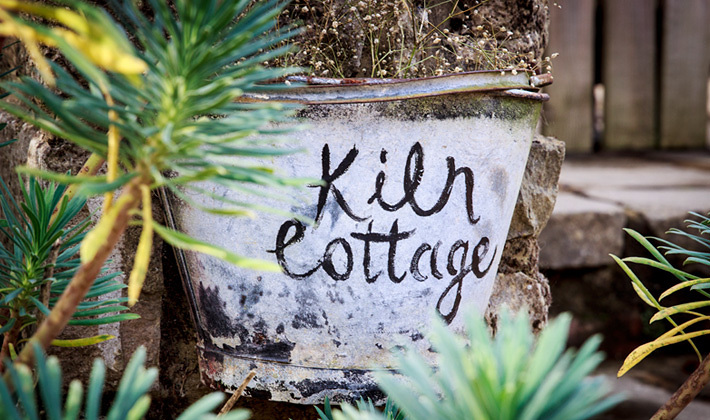 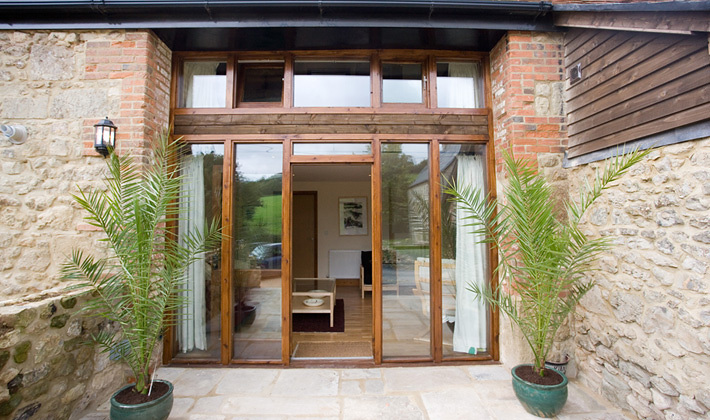 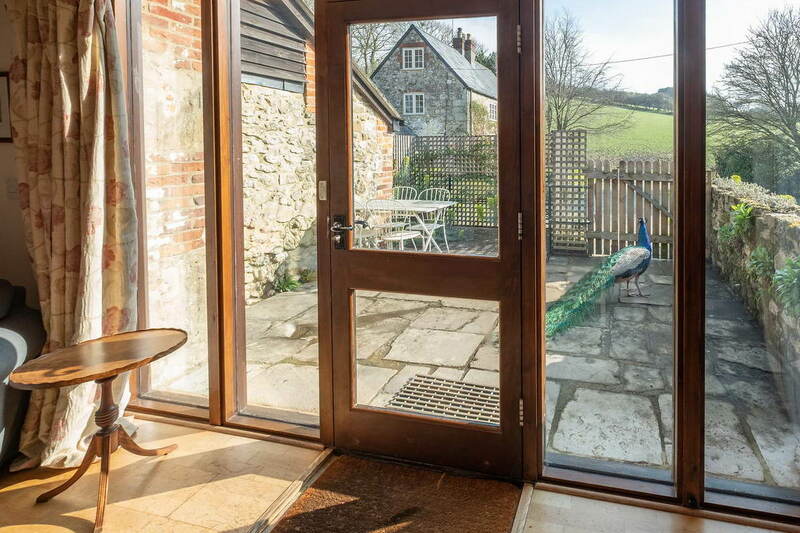 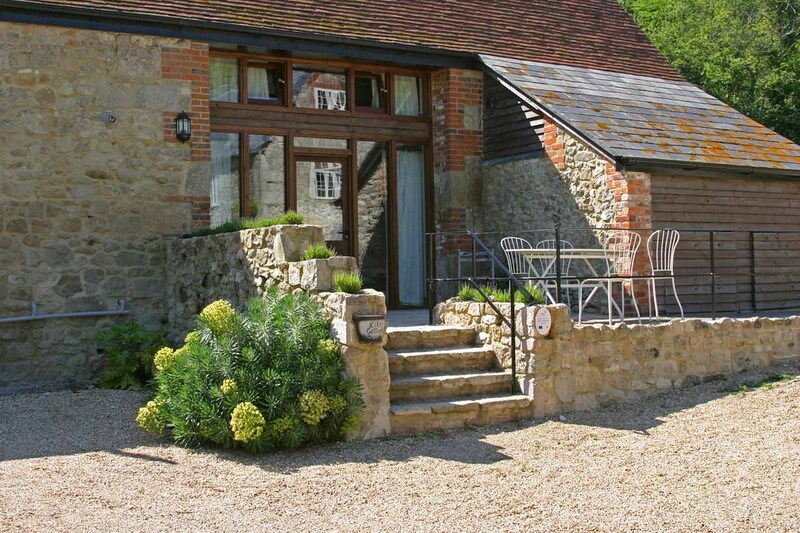 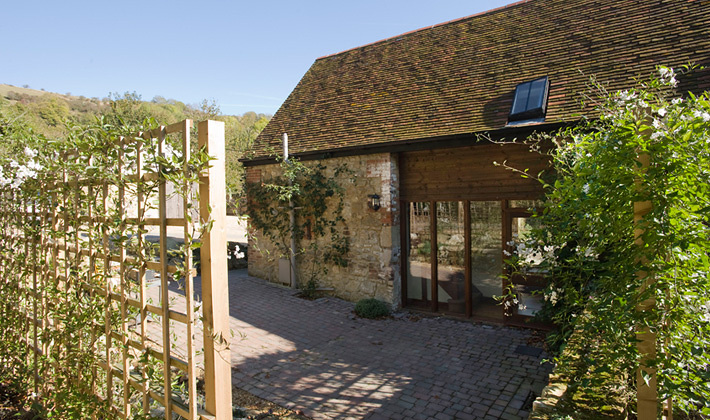 Kiln Cottage is part of Little Mersley Barn built in 1802, facing the Downs and completed in 2007.